Well this past weekend was the Muskies Canada Family weekend this is one of my favorite weekends of the year as its all about the kids and fishing. 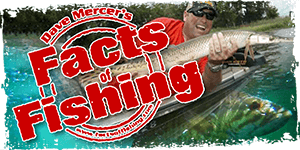 We only boated 1 musky it was caught on a brown/yellow Double 10 Handlebarz it was a small guy so the wife just took a shot when I was bringing it to the boat it was hooked deep so I had to cut the hooks out and off he went like a rocket. Mikey had one on for a few seconds but with some slack like the fish was off here he is with help from mom fighting his musky he is still a little young to get it on his own first he needs to hold the rod above the reel and second I did not have the cable on the rod. Jade had one good boat side strike on a top raider it was a blast to listen to her excitement when it came up from nowhere to smash her bait. She did not get a musky all the rest of the muskies were follows for me when casting. here are a couple pics from the kids getting there prizes and Mikey with Jim Kelly keeping there water fight feud going for another year for some odd reason Mikey called it off when Jim got out the pink bucket you can see the waterfall going into the bucket. We are looking forward to it for next year already it is one great time. I didn't get my first ski till I was 18... And my dad was a guide!!! Great report Mike Fishing is a great familly binder. Mike here is Jade fighting the fish and with her winning 42"er from 2008 she has been a trooper since 2007 or 2007 she does it all by herself now no help from mom and she has the bigger fish between the girls. Ron took some great pics of her fighting it and the best part of the story is Ronnie was just teasing Jade as his daughter had just caught a 39" to beat Jades other musky we were done fishing and ready to head to the beach but Jade wanted to be Steph so back out went the lines and she was rewarded. To this day I love to see Steph and ask her about the fishing. Phil I am looking forward to it again and hope that things are better on my end so I can actually fish the weekend with everyone. That's awesome Mike!! I've never heard of this event, looks like a great time for all. Hoping to get the boys into their first musky in the next few years. By the way, haven't had a chance to get those "egg-heads" wet yet, but, they might get dunked this weekend. NICE!!! I'm hoping to get my girls out this weekend for a couple hours of fishing this weekend out on GBAY. 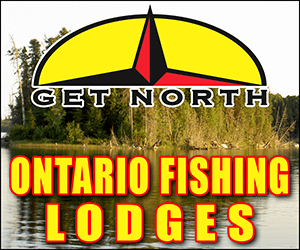 Frank its for Muskies Canada families only and is a lot of fun heck it does not cost more then 1 nights stay at a camp and you get camping dinner and docking for the weekend ya can never go wrong with this event. Great pics Mike ! Looks like a great weekend! Hoping to make a few trips down your way this fall, hope we can get out together again ! Awesome buddy!!! U know me - love the family and kid reports! Thanks for posting! fantastic! I wish my little guys had the patience to go musky fishing...extra lines in the water woohooo! Great pics, looks like you had a good time, its great to get the kids out. Jim I cant wait for you guys to get down here I just hope this fall is better then last one for fishing. Ryan it sure is all about the kids and what they enjoy. Rizzo before we had two lines here on LSC I would ask the family if they wanted to go musky fishing and there nick names were MY LITTLE EXTRA LINES the wife would just laugh at me. Thanks Carl we always seem to have a good time no matter if were catching or not.